Ford recently announced a TSB (Technical Service Bulletin) for customers who have purchased the 2011 Ford Mustang, warning against modifying any powertrain components or calibration. Both of these modifications are meant to improve performance, but Ford warns that both could mean problems for the car. The reasoning for this TSB is that these modifications may exceed the limits of existing components and cause vehicle problems and/or safety concerns. As can be imagined, Mustang enthusiasts have not reacted well to this news at all. To Mustang owners, their muscle car is practically built for modification. Any warning against modification is a slap in the face to Mustang lovers everywhere. The company also included literature in the Mustang TSB that warns of warranty nullification. “Warranty nullification” is a dreaded phrase for any car owner, and new Mustang owners are no different in this regard. According to Ford, aftermarket modifications can alter settings throughout the Mustang, to include fuel and spark settings, and thus are good cause for warranty nullification. The good news is that it is illegal for Ford to void a vehicle warranty because of performance modifications (learn more about the Magnuson-Moss act). Unfortunately, the company could void the warranty coverage of any parts that have been modified and/or effected by a modification (provided they can prove the part has been modified or effected). These days, companies are looking for cost cutting measures regardless of customer satisfaction, and the recent Ford TSB is a perfect example of this. Ford has had a few recent problems concerning car failures, and it appears as if Ford is actively looking for ways to recover some of those losses. It is doubtful that Ford’s TSB will cause enthusiasm for the Mustang to die off, but it could do some damage to Ford’s image. 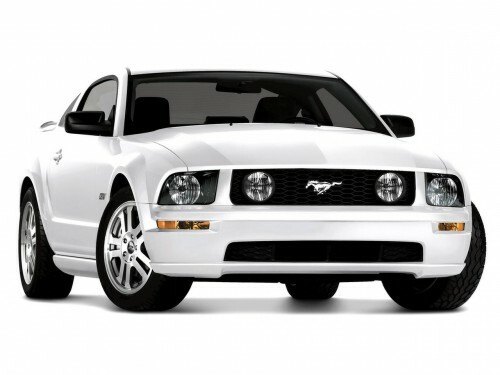 In an attempt to mitigate any public relations damage the company may receive from the TSB, Ford representatives contacted many car enthusiast websites and organizations acknowledging Mustang-owners’ love of customizing and modifying their cars. Representatives added that the TSB was simply a warning to better inform customers of possible ramifications that can occur when modifying the vehicles beyond factory specifications. With Ford’s warning released, customers should do research about whether a specific modification has any consequences concerning the car’s warranty. Not all aftermarket parts are created with the same quality and thus it is important to due thorough research about the product before installing it on the vehicle. Modify, but do so intelligently. NOTE: Adding an exhaust system to your Mustang will not effect your vehicle warranty. Exhaust systems have absolutely no impact on the function of the engine. Finding the best quotes for assurance voiture for your particular vehicle is easy if you go online to compare quotes from multiple insurance companies. Fill out a quote at Kanetix.ca today to do an online comparison and save hundreds of dollars every year on car insurance. The sheeple who need a TSB saying ‘don’t modify your car’ are the ones who think their engine oil never has to be changed. I remember a Mopar 360ci v8 that went “forever” without an oil change. For whatever reason they covered it under warranty. It seems to me that the neglect here is obvious, and the warranty should have been voided. It also seems to me that performance enthusiasts tend to take better care of their cars as well, while sure we ‘exercise’ them more as well, I think the impact on vehicle durability is minimal with well engineered parts that are installed correctly. Of course, performance parts installed and/or set up incorrectly (let’s use a nitrous setup for an example) can lead to catastrophic failure very quickly when the owner/tuner gets greedy with it. Emailed Roush Performace Parts about a CAI for a F-150. They said it would be legal in my state, emissions wise, but it would void the entire warrenty. Asked about the Magnusson/Moss warrenty act and they said to speak with Ford. Steve – It’s frighteningly common for dealerships and after-market part retailers to tell people that a particular part will “void your warranty,” and the reason is simple: If dealers say that, they can charge you more. If after-market companies say that, they don’t have to worry about a nasty phone call or lawsuit later. However, the law on this matter is clear (I’m no lawyer, mind you, but it’s black and white). If you use an after-market part on your car – be it an air intake or an oil filter or a supercharger – it can NOT void your warranty. The worst-case scenario is that the part you install causes a failure, and that failure is not covered. With a cold air intake, you’ve got nothing to worry about.